Monday night was a pretty great night for ABC and CBS, with their programming hitting their highest ratings in a long time. NBC and Fox can not say the same, as Fox's shows returned to okay ratings (but solid enough for Fox), and NBC had another low episode of the Apprentice (but at least it ticked upwards). Of all of the shows returning, Timeless had the most disappointing night, going fractional for the first time without a cushy Voice lead-in (making it only the third scripted NBC show to do so). 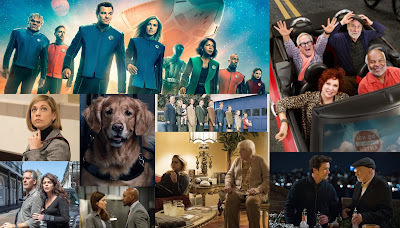 On CBS, their first three shows all jumped back to life, with Kevin hitting its highest ratings since November, Man With a Plan nearly tying a series high, and 2 Broke Girls hitting its highest ratings since October. Even The Odd Couple had an okay night. Scorpion was the only show on CBS to not receive a boost last night. On ABC, The Bachelor hit a season high, and easily lead the night. Big Fan closed out its first season with a 1.0/0.7, tying last weeks series premiere. The CW aired a Howie Mandel special and received a 0.4.